Hull KR have the chance to effectively secure their Super League status when they host Bradford on Saturday. The Challenge Cup finalists maintained their 100 per cent record in the Qualifiers with a 20-18 win over Wakefield last weekend, and they are overwhelming favourites to make it five wins out of five when the Bulls visit the KC Lightstream Stadium. However, ex-Bradford second rower James Donaldson is warning his team-mates to prepare for a backlash from his former club, who lost 50-30 to Hull KR in the Challenge Cup this year. "Bradford had a big defeat against Widnes and they'll be wanting to hit back this week," said Donaldson. "We'll have to prepare ourselves for that as best we can because there will be a backlash from them. "I know from being there last year about the character they have in that squad. Jimmy Lowes will get them fired up this week because they've still got an opportunity to go up." Robins head coach Chris Chester has recalled Ben Cockayne and Dane Tilse, while Bradford counterpart Lowes makes one change to his 19-man squad, with captain Chev Walker replacing James Clare. 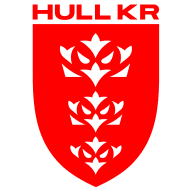 Hull KR: Kieran Dixon, Ben Cockayne, Josh Mantellato, Ken Sio, Maurice Blair, Adam Walker, Graeme Horne, Tyrone McCarthy, Mitch Allgood, James Donaldson, Greg Burke, Kris Welham, James Green, John Boudebza, Matthew Marsh, Shaun Lunt, Dane Tilse, Tony Puletua, Dane Chisholm. 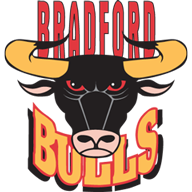 Bradford Bulls: Adam O'Brien, Adam Sidlow, Adrian Purtell, Alex Mellor, Chev Walker, Dale Ferguson, Dane Nielsen, Danny Addy, Danny Williams, Epalahame Lauaki, Jake Mullaney, James Mendeika, Jay Pitts, Matty Blythe, Matt Ryan, Omari Caro, Paul Clough, Steve Crossley, Tom Olbison. Watch Hull KR v Bradford live on Sky Sports 5 HD on Saturday from 3pm. Catch the match for £6.99 on NOW TV. No contract.